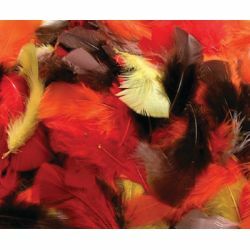 Quality, natural feathers in incredible colors are great for costumes, soft jewelry, and all kinds of craft projects. Non-toxic. Approximately 125 pieces per bag. 14 grams.